Many hair products contain a variety of natural and man-made ingredients, which can affect skin in different ways. Some people can have adverse reactions to one or more of these ingredients. The level of reaction can range from mild irritation to a full-blown allergy attack. With skin-based allergic reactions, a dry or itchy rash is the typical manifestation. An allergic reaction occurs when your body's immune system launches an attack against a normally harmless substance. These substances are called allergens, and they can include everything from pollen, mold and animal dander to chemicals, metals, medications and certain foods. Most allergies are mild and don't require a doctor's care. However, severe reactions can lead to a condition known as anaphylactic shock. Left untreated, anaphylactic shock can lead to brain damage and death. Certain chemicals produce a localized skin reaction known as contact dermatitis. Industrial and cleaning agents cause irritant contact dermatitis when they damage the outer layer of your skin. Allergic contact dermatitis develops in response to specific metals, dyes, rubber compounds and cosmetic products. The reaction begins with redness and itching, followed by a dry rash and a thickened area of skin. When the allergen is removed, symptoms of the reaction typically subside. In some cases, the localized dermatitis spreads and produces itching over the entire body. The labels of hair products often do not identify potential allergens in the list of ingredients, according to the "Journal of Clinical and Aesthetic Dermatology." The most common allergen in hair products is fragrance; few shampoos or conditioners are without some amount of fragrance. Despite their appealing name, natural oils and essences also are a common allergy trigger in hair products. Other allergens in hair products include preservatives, alcohols and sunblock chemicals. Stop using any hair-care product when you believe it's causing an allergic reaction. Gently wash the affected area to remove all possible allergen residue. Wash any clothing or accessories that you believe may be contaminated. If the rash and dry skin are minor, they should clear up on their own within a couple of weeks. 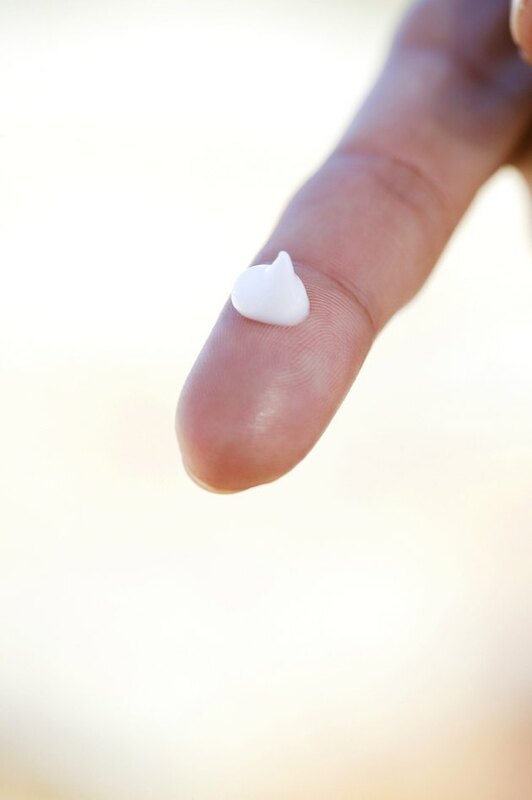 For more severe dry skin and irritation, apply a hypoallergenic moisturizing lotion. Read labels carefully and only purchase hair products and cosmetics specifically designed for allergic and sensitive individuals.